Modern cataract surgery techniques and technologies are helping skilled surgeons achieve consistently excellent outcomes with high rates of success. 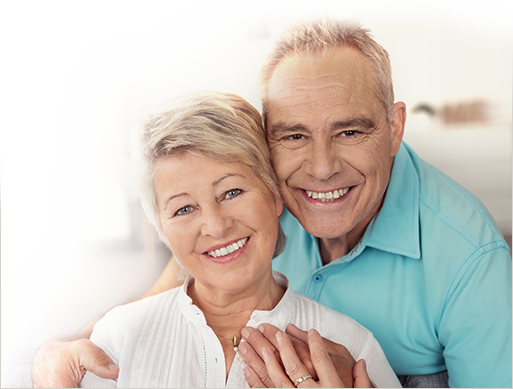 This good track record and our aging population have resulted in cataract surgery becoming the most commonly performed surgery in the United States. 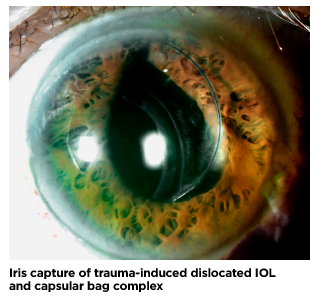 But complications, such as malpositioned intraocular lens implants (IOLs) do occur. Thankfully, the incidence of IOLs displaced enough to cause symptoms and require surgical intervention is less than 2%. But because all of us are likely to occasionally encounter them, I invite you to join me in a brief review. There are two ways that IOLs can become malpositioned or dislocated. The most common is a defect or tear in the capsular bag that allows the lens to slip out of position. Another way is for the entire capsular bag to destabilize, lose its zonular support and shift. Malpositions can be the result of pseudoexfoliation, mature cataracts and various surgical complications, secondary implantation, YAG capsulotomy, prior vitreoretinal surgery, trauma, increased axial length, intermediate uveitis, retinitis pigmentosa and capsular phimosis. 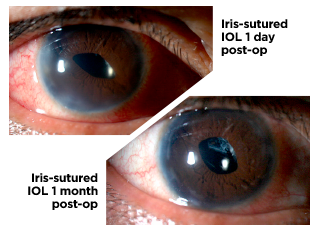 Early IOL malpositions occur during or within 3 months of cataract surgery. While uncommon, this can be the result of anterior or posterior capsular tear during phacoemulsification, or zonular dialysis. Of course, a lens capsule that has been compromised by trauma, previous surgical complications, endophthalmitis, or chronic uveitis is more vulnerable. Late IOL dislocations happen more than 3 months after cataract surgery and may spontaneously occur even years later. Trauma can displace sulcus-implanted IOLs, but at this point, intracapsular lens implants have had time to become fixated to the capsule. Very late dislocation is usually the result of weak zonules. And weakened zonules are typically associated with pseudoexfoliation syndrome, trauma, prior vitreoretinal surgery, long axial lengths, and connective tissue conditions that alter zonular integrity and capsular stability. The severity of malpositioned IOLs ranges from mild decentration to full dislocation into the posterior segment. Decentered — Lens decentration can occur as a result of surgical placement or the healing process. Causes include capsular rupture during surgery, insufficient capsular support for sulcus fixation, uneven placement of haptics, or one haptic in the sulcus and the other in the capsular bag. If a haptic is kinked or broken during implantation, the IOL may also become decentered. Subluxated — A partially displaced or subluxated IOL is more extreme, with the malpositioned IOL only covering part of the pupil. Dislocated — Full luxation involves complete dislocation of the IOL into the posterior segment. This is a very serious complication that can be associated with cataract surgery and YAG capsulotomy. Resourceful surgical solutions are required to obtain IOL stability and optimal visual outcomes. Because a total posterior vitrectomy is required, this surgery is usually performed by a retina specialist. Symptoms of malpositioned IOLs range from light ghosting of objects, to double vision, to counting-fingers or hand-motion vision. Understandably, the amount of visual significance depends on the extent of malposition. A slightly decentered lens may only be transiently bothersome, whereas a fully dislocated IOL can leave the patient essentially aphakic. Other symptoms may include glare, double vision and unstable vision. There may also be a change in refraction due to the altered IOL position. Finally, if there is chafing of the IOL on the iris, Uveitis-Glaucoma-Hyphema (UGH) Syndrome may develop. Posterior IOL malposition is typically apparent with biomicroscopy, but mild cases can be difficult to detect behind an undilated pupil. When complete luxation is suspected, a dilated exam is needed to confirm the extent of dislocation. Treatment strategies of malpositioned IOLs are based on the severity of the condition as well as the patient’s symptoms and expectations. When patients are only symptomatic in scotopic settings with dilated pupils, a topical miotic such as pilocarpine 0.5-1% QHS may be an alternative to surgical intervention. 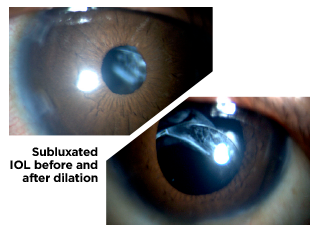 Iris-sutured: A malpositioned IOL can sometimes be sutured to the mid-periphery of the iris. This treatment sometimes requires complete removal of the capsular bag. Scleral Fixated: Some surgeons prefer a sutured or sutureless scleral fixation procedure to hold the IOL in place. Scleral flaps and tunnels are created in both methods to provide access to the ciliary sulcus. When sutures are used, the IOL haptics are “lassoed” and secured through tunnels to the scleral wall. Flaps protect the knots from eroding. Sutureless fixation also secures the haptic arms within the tunnels, sometimes with the aid of fibrin glue. Both fixation techniques are equally effective in visual outcome prognosis. Click here to see a creative sutureless and glueless technique performed by one of our surgeons. IOL Replacement — Indications for IOL replacement include damage to the implant, excessive residual lens material, and an IOL model that cannot be sutured or fixated by other means. Removal of a posterior chamber IOL along with the capsular cocoon, and replacement with an anterior chamber or sutured posterior IOL can provide excellent BCVA and long-term stability. However, this is the most invasive option as the original IOL must first be cut into pieces and carefully removed. Timing of surgical interventions will vary. But generally, the more unstable or loose the IOL is, the sooner surgery is needed to avoid dislocation into the posterior vitreous cavity. Malpositioned IOLs that require surgery are fairly rare. But when lens displacement occurs, the best treatment option is determined by the severity and stability. Repositioning is usually safer and faster than removal and replacement. Thankfully, most patients are able to regain good visual outcomes with any of the treatment methods we have discussed. If you have questions about a malpositioned IOL, please do not hesitate to contact our optometric physicians. We are always happy to help. Wu, Lihteh. “Intraocular Lens Dislocation” Medscape, 29 Sep. 2015. Web. 13 Dec. 2016. Davis, Don, Jacob Brubaker, Ladan Espandar, Jack Stringham, Alan Crandall, Liliana Werner, and Nick Mamalis. “Late In-the-Bag Spontaneous Intraocular Lens Dislocation.” Ophthalmology 116.4 (2009): 664-70. Wilgucki, John D., H. Matthew Wheatley, Leonard Feiner, Mark V. Ferrone, and Jonathan L. Prenner. “One-Year Outcomes Of Eyes Treated With A Sutureless Scleral Fixation Technique For Intraocular Lens Placement Or Rescue.” Retina 35.5 (2015): 1036-040. Web. Kumar, Dhivya Ashok, and Amar Agarwal. “Glued Intraocular Lens.” Current Opinion in Ophthalmology 24.1 (2013): 21-29.